The committee serves to inform Caltrans on state-wide policy, infrastructure standards and implementation, providing input on bicycle facility design issues. 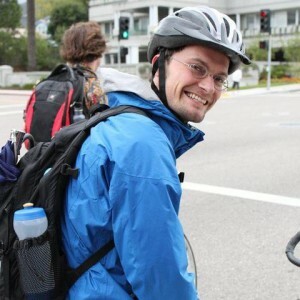 Keith has an academic background in transportation planning, and an understanding of on-the-ground bicycle experience, issues and advocacy from Central California and now from his home and work in the North State. Keith lives in Redding and currently works at Shasta Regional Transportation Agency as a part-time Transportation Planner. While the cities and counties of the North State are not the most populous areas in the state, we represent the “other” California, outside of metropolitan-urban areas – with perspectives and issues that are important to include in order to get buy-in and to design comprehensive solutions to drive improvements across the state. People living in cities and counties like ours are especially dependent on statewide transportation direction, policies and programs. And the need is great – for example, current context and road conditions across the North State mean that despite strong interest from local families – very few children can walk or bicycle to school or to a friendʼs house or the local business district. Few of these children have transit options, and we have a high rate of death and injury when people walk and bicycle despite dangers. It is ironic that in this more rural place children and families generally have less opportunity to walk and bicycle than in metropolitan areas. We want to share the perspective and need from these types of communities, and help to identify solutions and approaches that work broadly across California. Shasta Living Streets is very interested in advancing the work of this advisory committee. We congratulate Keith and look forward to supporting him in this role.